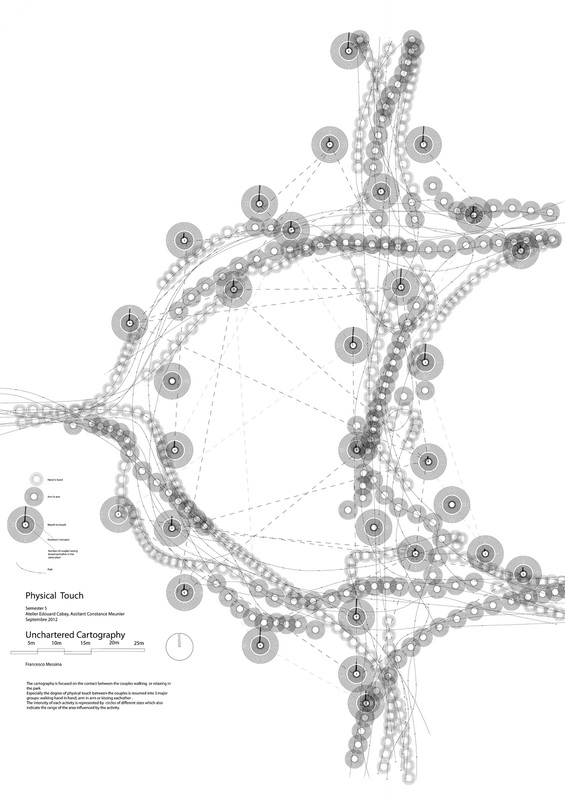 The cartography focuses on the contact between the couples walking or relaxing in the park. The degree of physical touch between the couples is resumed into 3 major groups: walking hand in hand - arm in arm - kissing eachother. The intensity of each activity is represented by circles of di erent sizes which also indicate the range of the area in uenced by the activity.